However you travel, Leipzig is quick and easy to reach. The KONGRESSHALLE is located in the city centre, just three tram stops or ten minutes’ walk from the main railway station. Leipzig/Halle airport lies in the heart of central Germany and is just 16 km or so from Leipzig city centre. Using the A14 motorway, you can get to the KONGRESSHALLE in just under 20 minutes, be it in a taxi or hire car. There is a large choice of hire car companies available. Alternatively, you can get to the main railway station in 15 minutes with the S 5 S-Bahn urban railway service, which runs every 30 minutes. You will find taxi ranks right outside the airport (Terminal B) and near to the KONGRESSHALLE. Flughafen Leipzig/Halle (Leipzig/Halle airport) offers up-to-date information for air travellers. The airport information desk is located on the ground floor of Terminal B. You can also get information by calling +49 341 224-1155. Another option is to fly to the nearby city of Berlin and to continue your trip to Leipzig by rail from Berlin’s Main Station (Hauptbahnhof). There is a direct connection and the train ride takes only about 1.25 hours. Please note that Berlin has two international airports – Tegel and Schönefeld. Tegel Airport is located in the northwest of Berlin and is closer to the city centre than the airport in Schönefeld. The fastest way to get to Hauptbahnhof is by TXL Express Bus which travels in six-minute intervals (direction Alexanderplatz). Depending on the time of day the ride takes about 20 minutes. You’ll need a ticket for fare zone AB (2.70 Euro). Berlin Schönefeld Airport is located on the southern outskirts of Berlin. The Schönefeld train station offers direct connections to the city centre and is only a ten-minute walk from the terminal building. To get from here to Hauptbahnhof you take the S-Bahn line S9 (direction Pankow) until the station Ostkreuz and then change to the S-Bahn lines S5, S7 or S75 (direction Potsdam). The travel time is approx. 45 minutes. Or you can take the regional Airport Express Train RE7 (direction Dessau) which travels in 30 minute intervals and takes about 30 minutes to get to Berlin Central Station. You’ll need a ticket for fare zone ABC (3.30 Euro). In both options you get off at the station Berlin Hauptbahnhof (Berlin Hbf). From here you can take the comfortable Intercity (IC) or Intercity Express (ICE) and get to Leipzig Hauptbahnhof in 1.25 hours. Note: Make use of the special “Congress Ticket” of the Deutsche Bahn AG (German railway company). From Leipzig’ main station it is only a 15 minute walk to the congress venue KONGRESSHALLE am Zoo, or you can take the tram line 12 (direction Gohlis-Nord) which stops directly in front of the congress hall (three stops from the station). 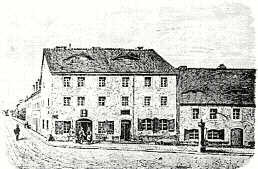 You can use a short-distance ticket (“Kurzstrecke”). If you have a direct flight to Frankfurt/Main you can travel to Leipzig with the special Deutsche Bahn Congress Ticket (see above). The train ride takes approx. 3.25 hours. The Frankfurt (Main) Airport long-distance railway station (Fernbahnhof) is integrated into the airport so that you can continue your trip to Leipzig Hauptbahnhof directly from the airport. Please do not follow the signs Regionalbahnhof (regional station)! From Leipzig’s main station it is only a 15 minute walk to the congress venue KONGRESSHALLE am Zoo, or you can take the tram line 12 (direction Gohlis-Nord) which stops directly in front of the congress hall (three stops from the station). You can use a short-distance ticket (“Kurzstrecke”). The most convenient way to get to the KONGRESSHALLE am Zoo Leipzig is by train or S-Bahn (urban railway). When you travel on Deutschen Bahn trains, you can be sure that your journey to the trade-fair city of Leipzig will be relaxed and environmentally friendly. The main railway station, with its ICE (inter-city express) connections, is located in the city centre and is one of the largest and most modern stations in the whole of Europe.In cooperation with the German railway company Deutsche Bahn AG, the DZVhÄ has arranged a special long-distance offer: With the “Deutsche Bahn Event Ticket” (Congress Ticket) you travel comfortably to the LMHI Congress 2017 in Leipzig and furthermore help to protect the environment – the energy you require for your journey will originate from 100% renewable sources in Europe. 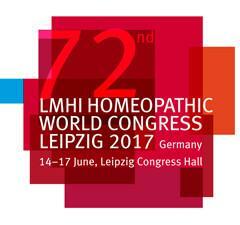 Here you will find step-by-step instructions how to book the Deutsche Bahn Event/Congress Ticket. If you book your ticket online there will be further saving options ,. Booking by telephone with the keyword „DZVhÄ“ under the service hotline +49 (0)1806 – 31 11 53. Please have your credit card and/or bank details ready with your order. The hotline is available Monday through Saturday from 8:00 to 20:00 h, the call charges are 20 Cent per call from a German land-line network and no more than 60 Cent from a mobile phone network. Please note that an extra fee will be charged for credit card payments according to the transport conditions of the Deutsche Bahn Group. The number 12 tram service (direction: Gohlis-Nord ) will get you from the main railway station to the Zoo tram stop, which is right outside the KONGRESSHALLE, in just three stops. You just need a ‘Kurzstrecke’ (short trip) ticket. If you come by tram numbers 9, 10, 11 or 16, get off at Wilhelm-Liebknecht-Platz. Trams 1, 3, 4, 7, 9, 12, 14 and 15 stop at the Goerdelerring. For information on current fares and the transport network’s pricing zones, please go to the following links to the Leipziger Verkehrsbetrieben (LVB). Information about transport links to the KONGRESSHALLE can be obtained from the Deutschen Bahn timetable information service, as well as from the Mitteldeutschen Verkehrsverbund (MDV regional public transport) and the Leipziger Verkehrsbetrieben (LVB Leipzig public transport). Many roads lead to the KONGRESSHALLE am Zoo Leipzig. If you are coming from the east or the north, you will arrive at the KONGRESSHALLE and the multi-storey car park at the Zoo along the Parthenstraße. If you are coming from the city centre or the west, simply follow the signs and they will take you to the multi-storey car park. Important information for all drivers: Leipzig has a low emission zone where only cars, buses and commercial vehicles bearing a green sticker are allowed to travel. Go towards the city centre and follow the signs to the Zoo. Please follow the guidance system to the car parks. You will find the Zoo multi-storey car park directly opposite the main entrance to the KONGRESSHALLE. Here you can park your car in one of the 1,375 spaces round the clock (Height limit: 2.00 metres). For vehicles exceeding a height of 2 metres and for buses, parking is available directly next to the Zoo multi-storey car park (Parthenstraße). There are four electric charging points available in the multi-storey car park that you can use free of charge. It is good to know that there are more multi-storey car parks for you to use in Leipzig city centre, should the Zoo car park be full. We recommend that you use the Park-&-Ride car parks, which are free of charge. 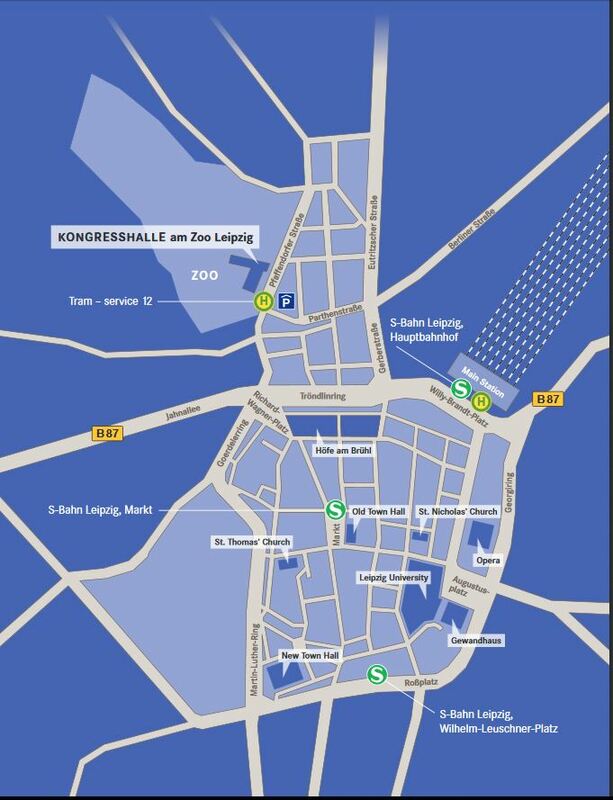 From there, you can easily get to the KONGRESSHALLE am Zoo Leipzig by tram. You can download all the details here: Leipziger Verkehrsbetriebe (LVB).